A chair does a great job of holding all your basic bedside essentials just like a standard nightstand! It does not have a small drawer but a chair’s got enough surface space for books, mobile devices, and so on. 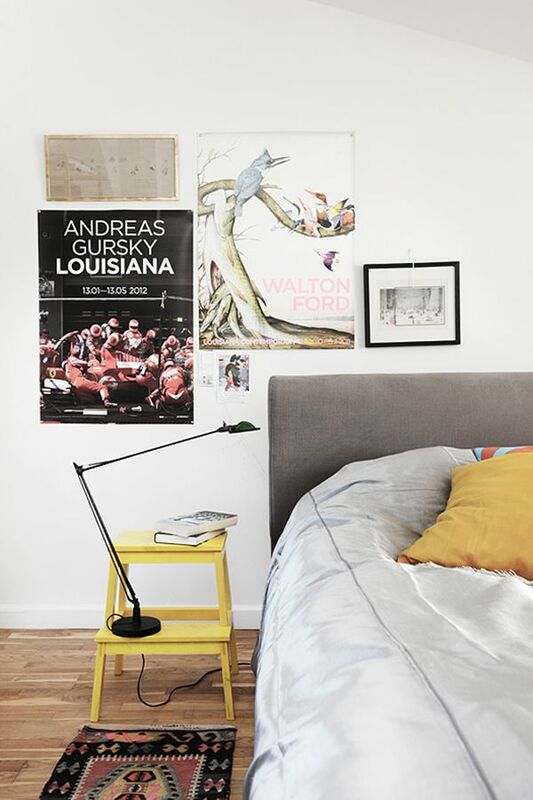 You can’t place a full-sized lamp on the chair but you can always mount your lighting fixtures on the wall to complete your bedside setup. Got no idea where to put that old, clunky trunk you got from Grammy? Why not use it as a sub for a nightstand? 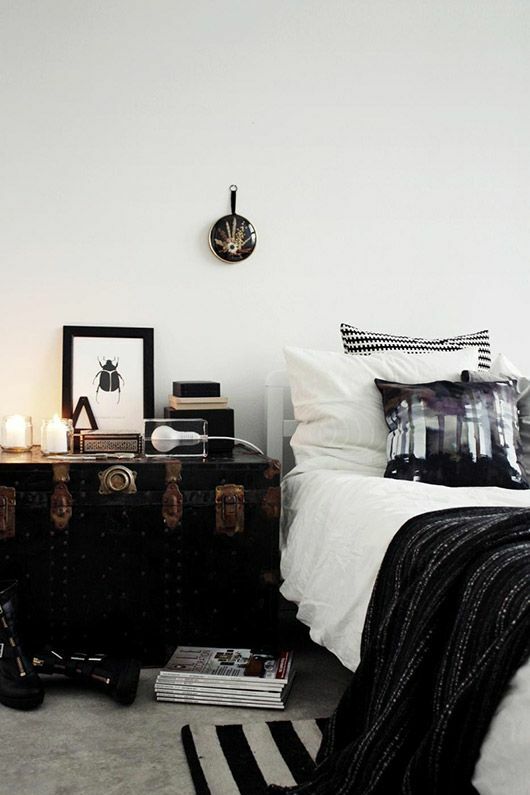 An old trunk, one with a flat top, works great as a nightstand. It has a sizable surface space for your bedside items while pulling double duty as a space organizer! Depending on the size of the trunk, you can use it to store extra sheets, pillows, and seasonal gears. Used as a nightstand, an old trunk imparts a unique, vintage vibe to the bedroom too. Never underestimate the versatility of floating shelves. 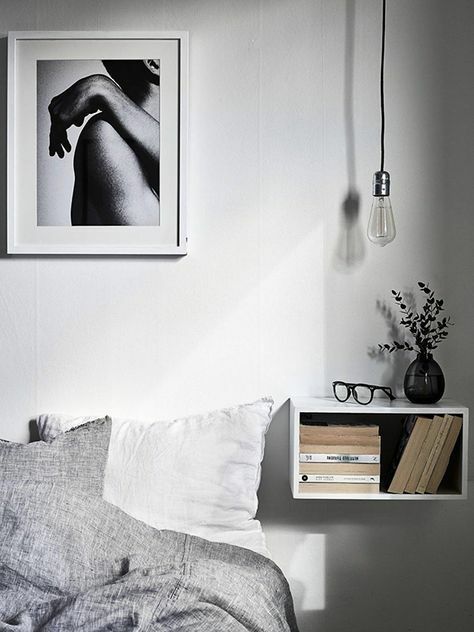 One of our favorite microapartment decors could pull double duty as a bedside table! The great thing about floating shelves is that they are easy to install, they offer flexible storage space and they come in an array of designs to choose from. You can choose between a standard floating shelf or a cube floating shelf to squeeze in more storage space near the bed. You can also get one in a contrasting shade to add a pop of color to your bedroom! Any type of step stool works great as a substitute for a bedside table. 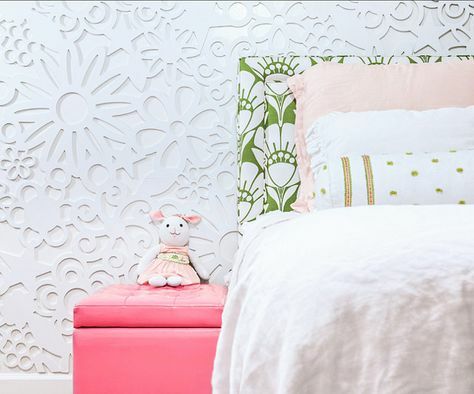 I say go for the colorful kind if your bedroom is drowning in neutrals. 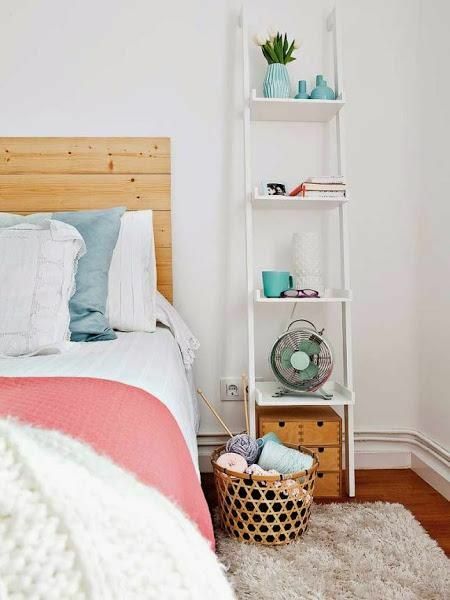 A step stool may not provide enough surface space for all your bedside items but it has enough space for your mobile devices + a couple of books. 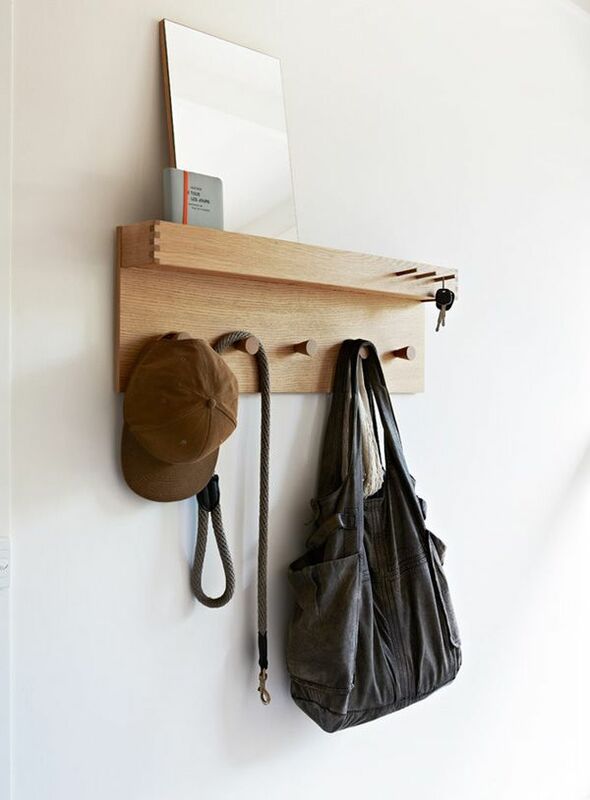 This way, these items are always within easy reach, no need to awkwardly sift through your stuff in the morning. An ottoman, especially one with concealed storage space, makes a terrific sub for a standard bedside table. Ottomans come in a variety of designs and depending on the size of the bedroom, you can get a large yet skinny ottoman. You can use the surface space for storing decors + a couple of your essentials and the concealed storage space for larger items such as bed sheets, extra blankets, throws, etc. 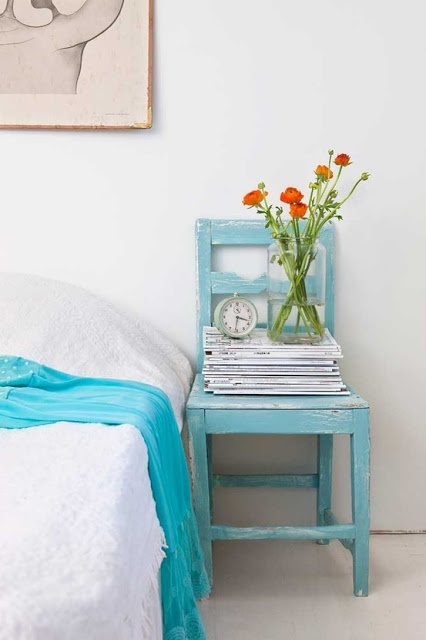 Who knew a leaning ladder could make such a pretty alternative to a bedside table? You can use the wide steps as narrow shelves for your basic essentials. Got lots of blankets? You can use the ladder to organize your blankets (and reading materials too!). If you want to give your bedroom a warm glow, try hanging decorative string lights to the ladder and voila, you have a unique nightlight! Think a bench is most useful in the mudroom or living room? Think again! 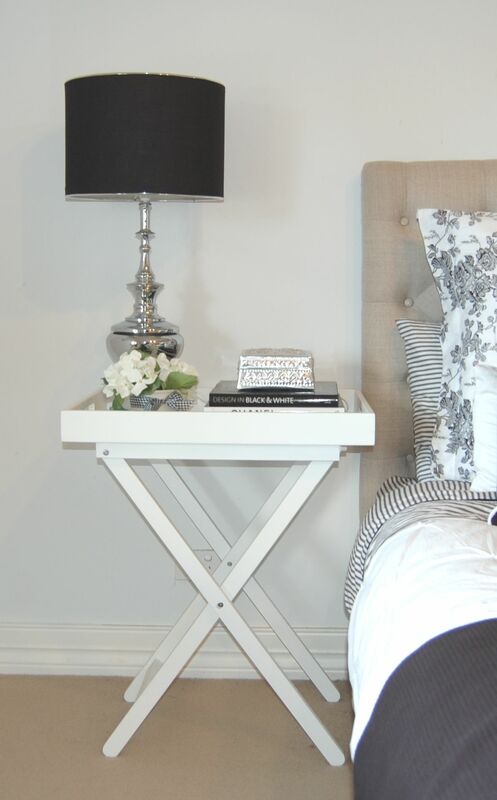 You can set the bench near the bed and you have a non-traditional nightstand! 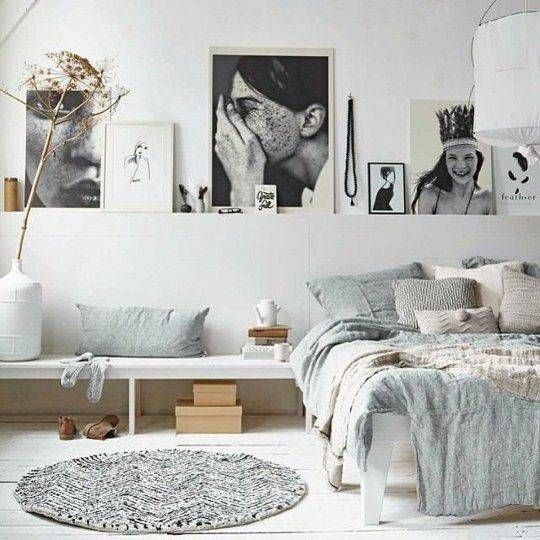 Since a bench has a wider surface space, you can put more of your bedtime essentials + a lamp and an extra pillow too. I highly suggest going for a bench with concealed storage just so you can maximize the storage space in the bedroom. A crate for a nightstand? Why not? Add a lovely rustic vibe to the bedroom by stacking a couple of wine crates and setting them near the bed. That’s all there is to it! 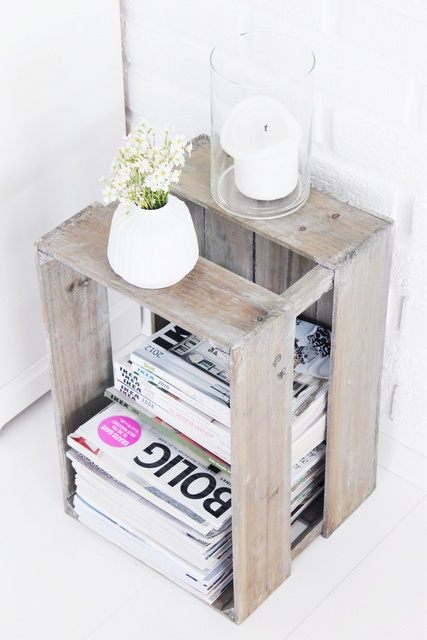 You can also DIY your way into making a rolling nightstand out of several wooden crates, here’s how! Wine crates make a great side table, they offer plenty of storage space yet they do not take up too much floor space. Yes, a coat rack with a built-in shelf is traditionally used in the mudroom but you can also install one near your bed if you don’t like the look of a conventional nightstand. You can use the upper shelf for storing books, mobile devices, and jewelry, and the bottom hooks for organizing your charger cords, headphones, etc. Pop a couple of bins underneath the coat rack to stretch the floor space. Use the bins for storing extra blankets and throws. A tray table is a great alternative to a nightstand because it’s compact and depending on the width of the tray table, it offers more room for your bedside essentials. Since tray tables are usually compact, they make a great nightstand for a microapartment with a small bedroom. They come in an array of heights and widths but are able to fit in the tightest corners.